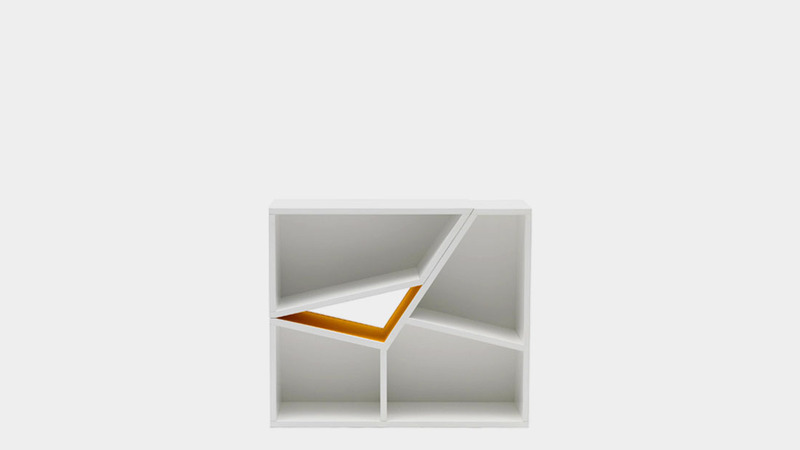 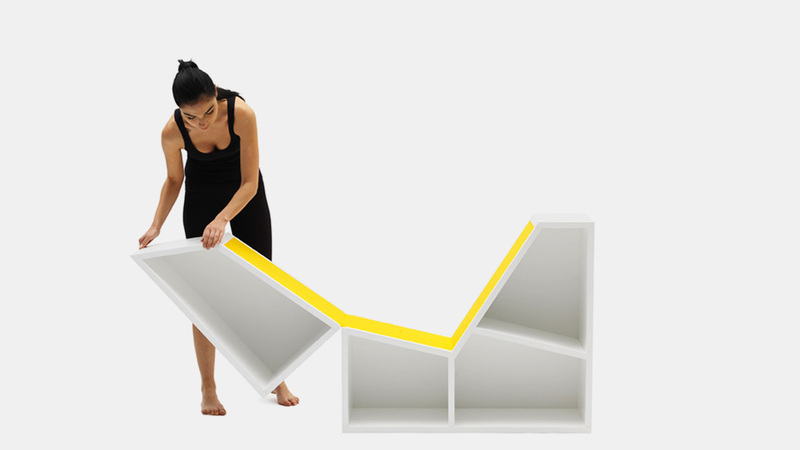 “Tic Tac” is a bookcase which transforms into a chaise longue for reading. 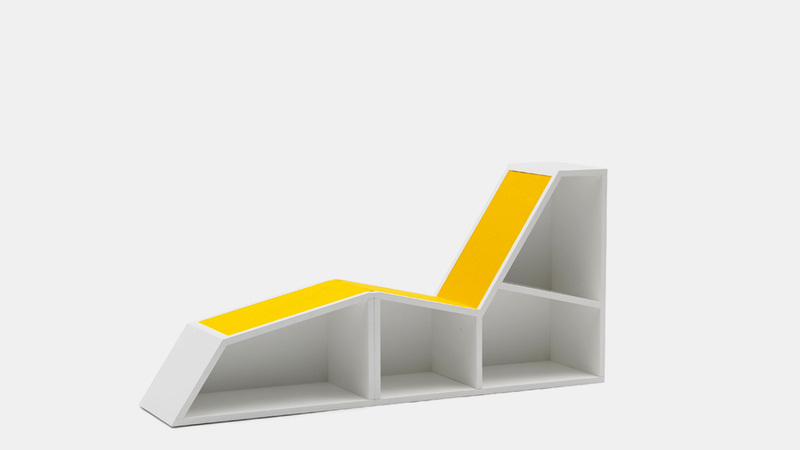 The top left shelf rotates to become an ottoman. 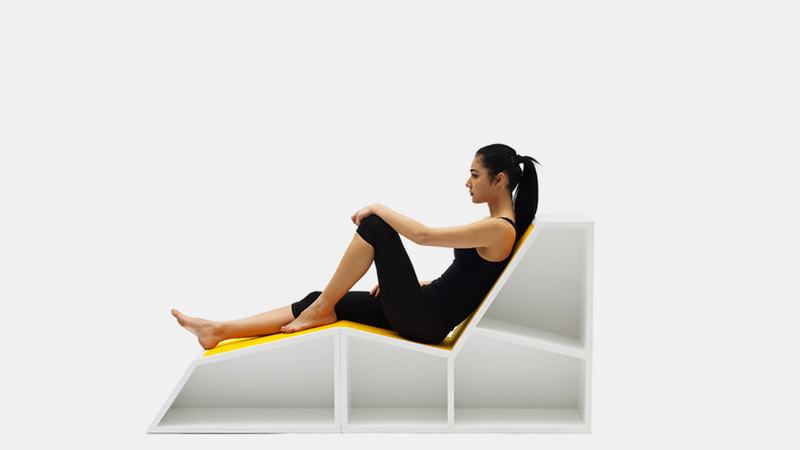 It creates a relaxing reading time surrounded by your favorite books.